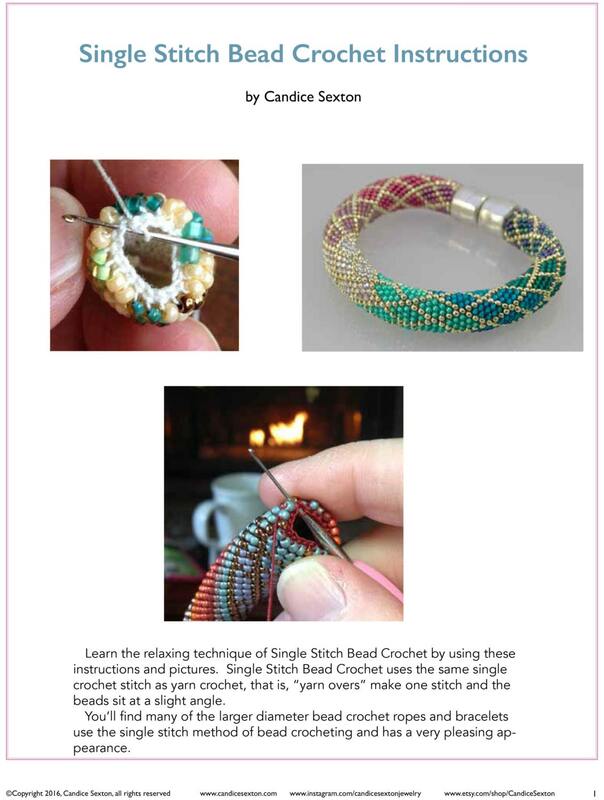 Included in Kit purchase: Pattern & How To Do the Single Stitch Bead Crochet Doc. 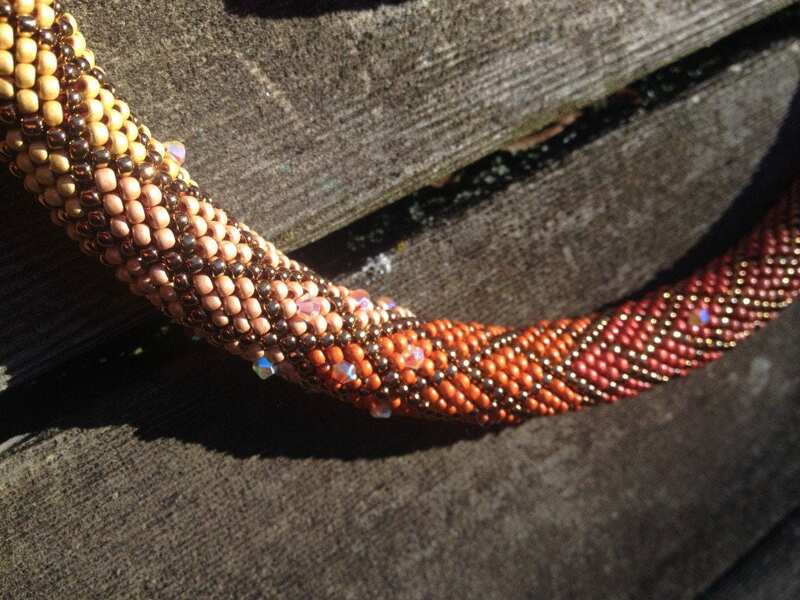 THIS KIT INCLUDES: 47 grams of size 11/0 japanese seed beads in TOHO PermaFinish colors, Swarovski crystals, high quality 100% cotton crochet thread, cotton bolo cording and heavy duty 10mm magnetic barrel closure. 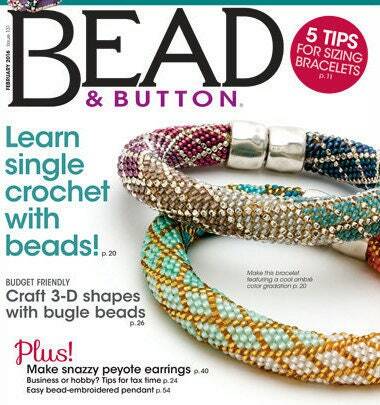 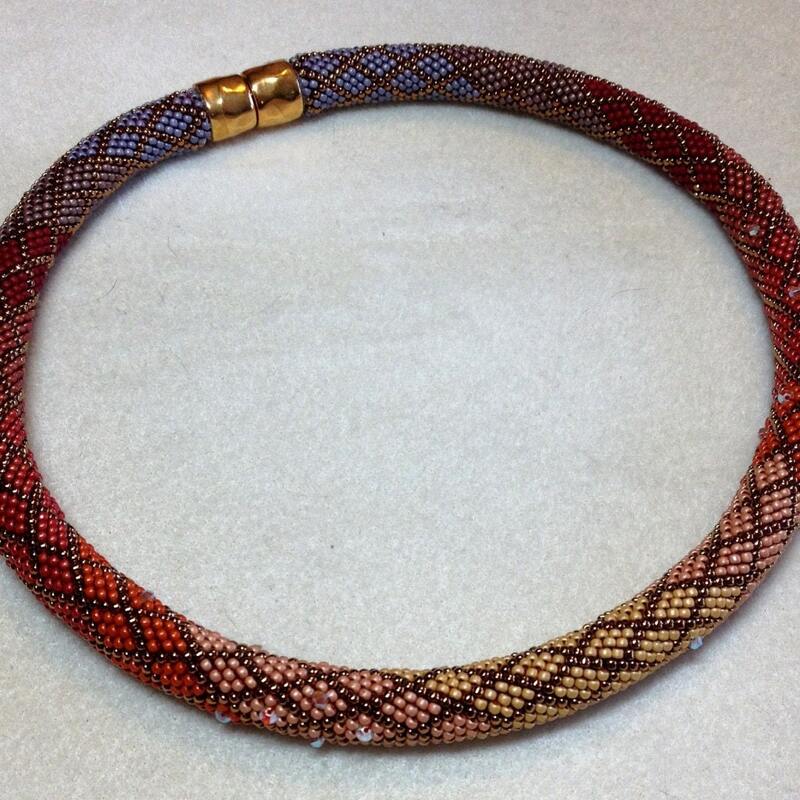 Pattern in different colorway featured on the cover of Bead & Button magazine, see last image.